We’re all moved in and life is returning to normalcy. The new house is great, but it still feels surreal, all off our stuff is here but it doesn’t feel like it’s my home yet. Kind of feels like I’m house sitting for my parents. 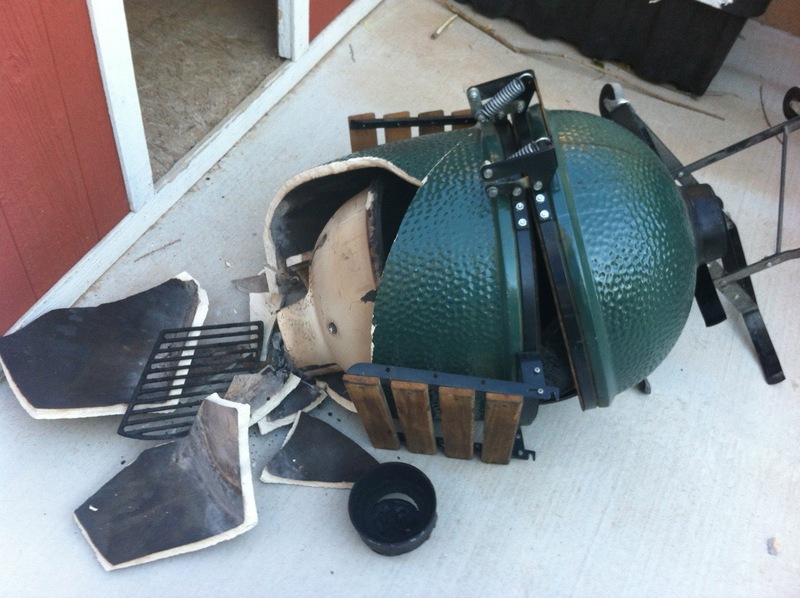 During this whole move I was really stressed out about moving my Big Green Egg. I was having nightmares about dropping and breaking my prized cooking device. We got the egg all packed and successfully moved it to the garage of the new house. I thought I was home free, but not quite. I was rolling the BGE to the backyard and the caster caught an edge in concrete and in the span of 3 seconds my nightmare had become a reality. The hit the concrete and just shattered like a real egg. I was so freaking pissed I just wanted to cry. The breaking of the BGE was just the icing on the cake. Just a few days before the Humpty Dumpty incident, my gas grill was stolen out of the back yard of the old house. I guess it’s my fault for leaving in the backyard unattended, they had sat in the backyard for years without any incident, and I thought they would be safe, but no. Somebody knew I wasn’t home and decided to relieve me of another of my prized possessions. 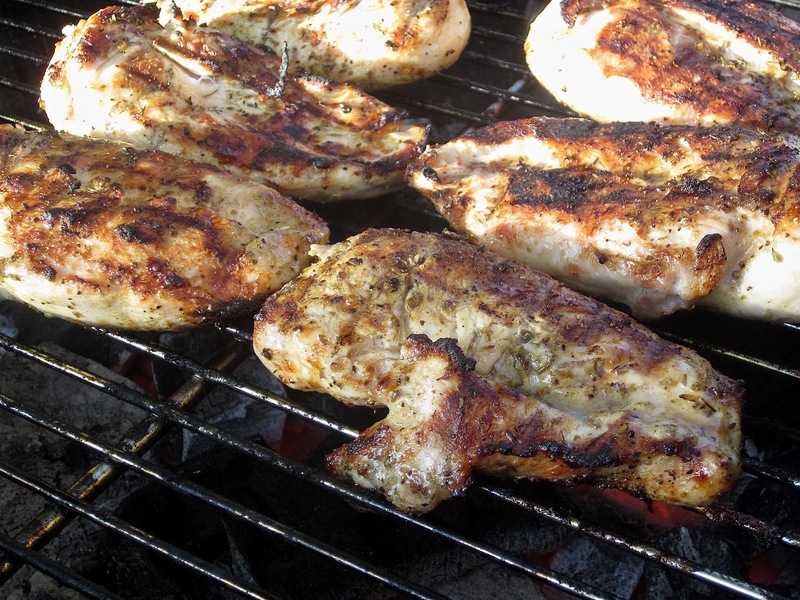 So here I am limping into prime of barbeque season with a decimated fleet of grills. My Egg is on the mend and I’m shopping around for a new gas grill but I still needed something to cook on. I had wanted to get a Weber Kettle for a long time and decided it was time to pull the trigger. 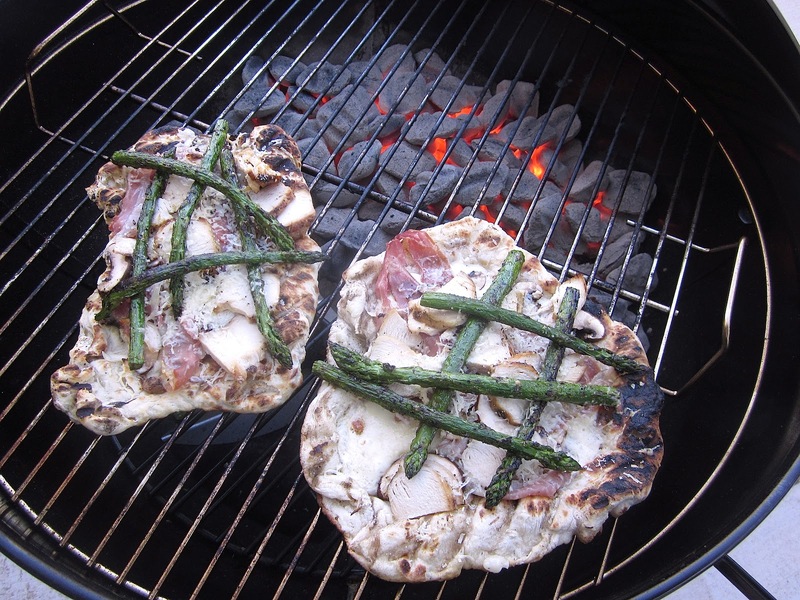 It’s a great little grill and I have been cooking up a bunch of good stuff, chicken, steaks and even some rustic grilled pizzas. 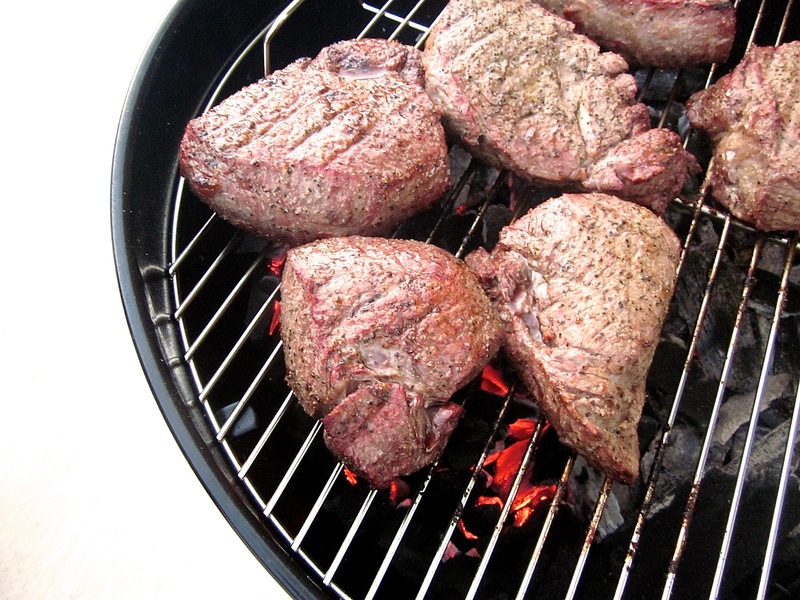 As we head into the 2nd half of the summer you can expect to see some new recipes grilled up on my new kettle. AAAAARRRRRRGGGGGGGHHHHH! An Egg owner's worst nightmare. I think I would cry. Was it only the bottom or did you lose internal pieces too? Thanks Chris, I had to buy a new base, everything else was ok. We're in the process of building a new table for the BGE so this does not happen again.